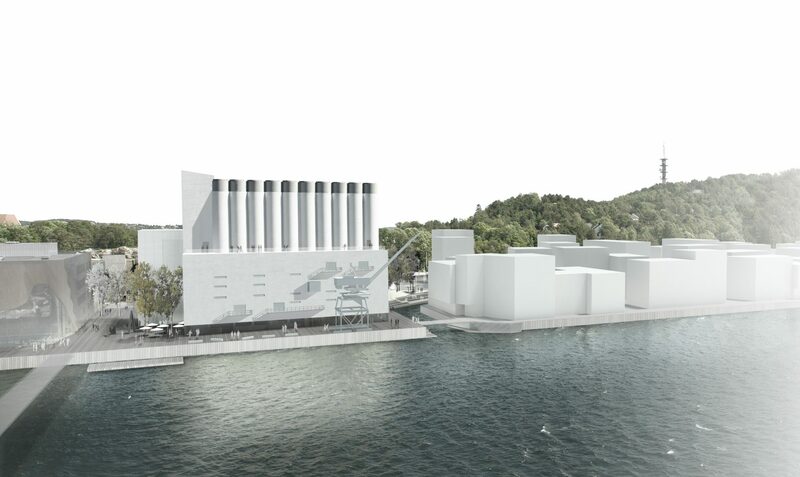 The Kunstsilo competition called for proposals to transform the Odderøya grain silo, which was built in 1935 on the wharf Silokaia in Kristiansand, Norway. It stands next to the Kilden Performing Arts Centre. 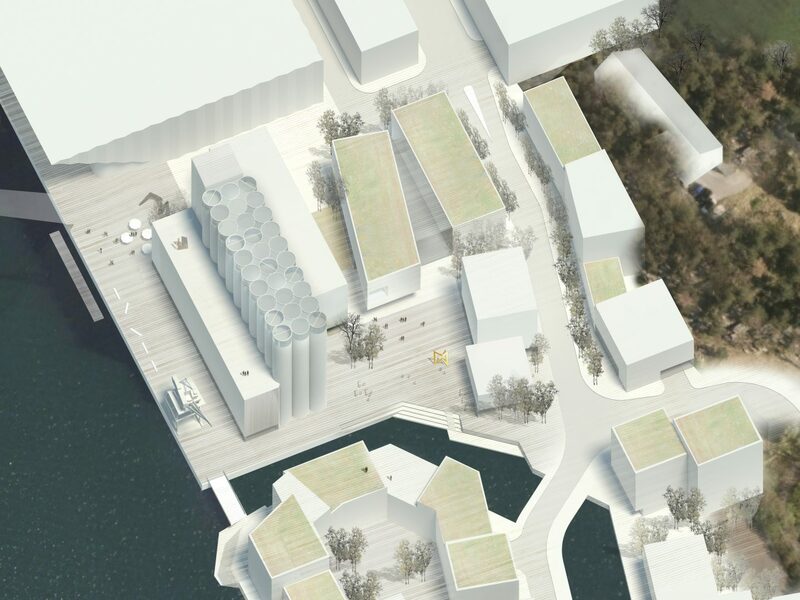 The kunstsilo proposoal harnesses all the expressive power of a silo (an existing heritage building) in order to generate a diverse and complex urban space with a variety of spatial, programmatic and climatic characteristics. 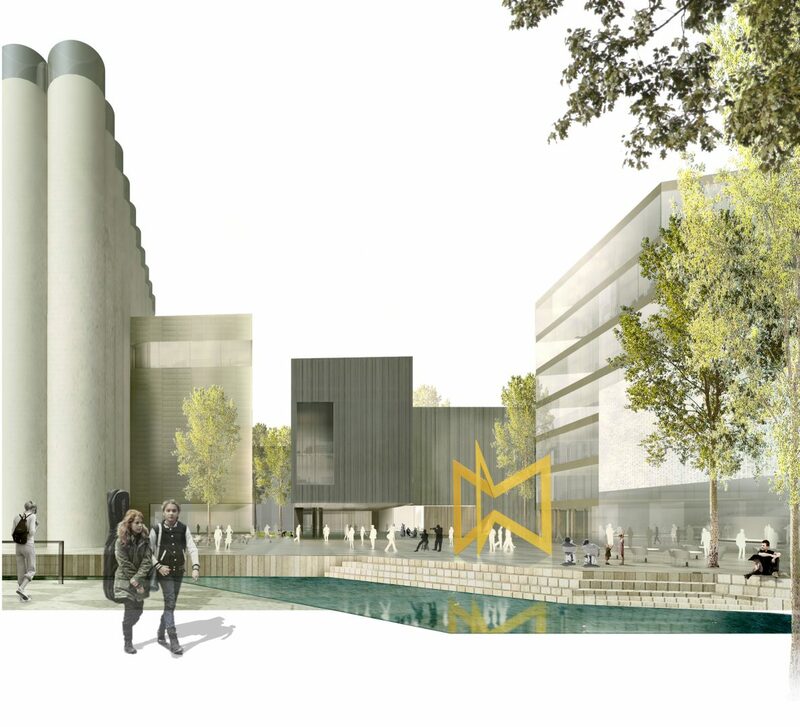 The proposal consists of a new museum, a performing arts school, a hotel and a building to be used as an incubator for artistic startups. 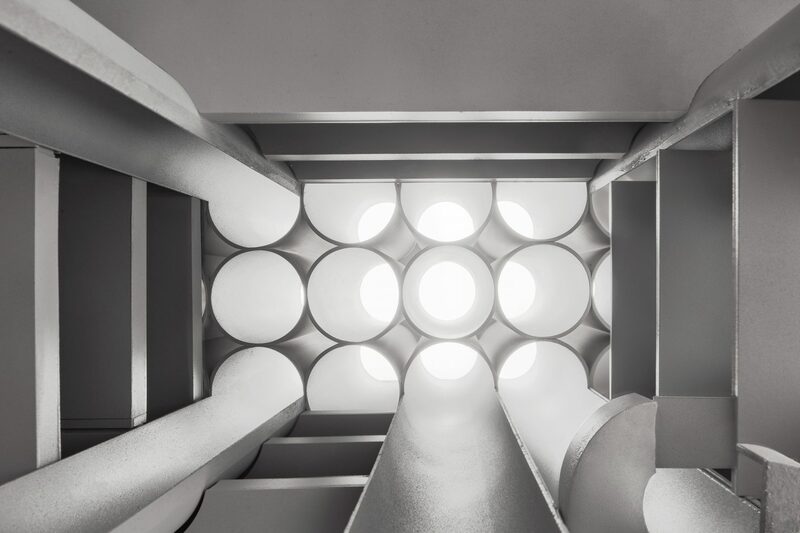 The project strikes an elegant balance by combining respect for the qualities of the silo building with an imaginative attitude to the inherently sculptural and special experiences it offers. 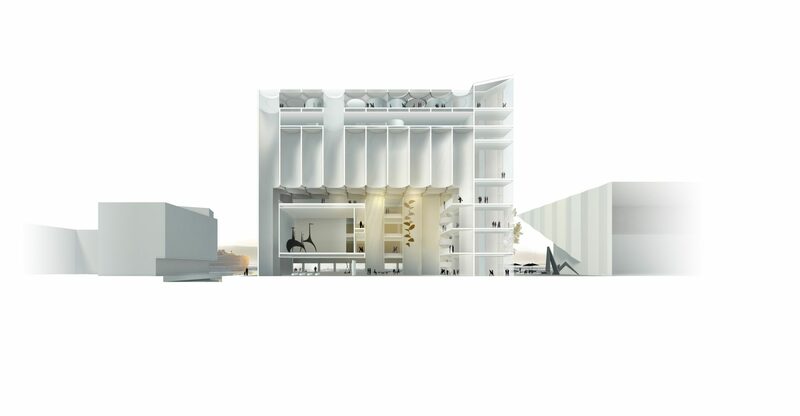 With a few cuts into the interior of the silo, an understated yet monumental volume is opened up with controlled top-lighting that gives the future museum a strong and unique character. 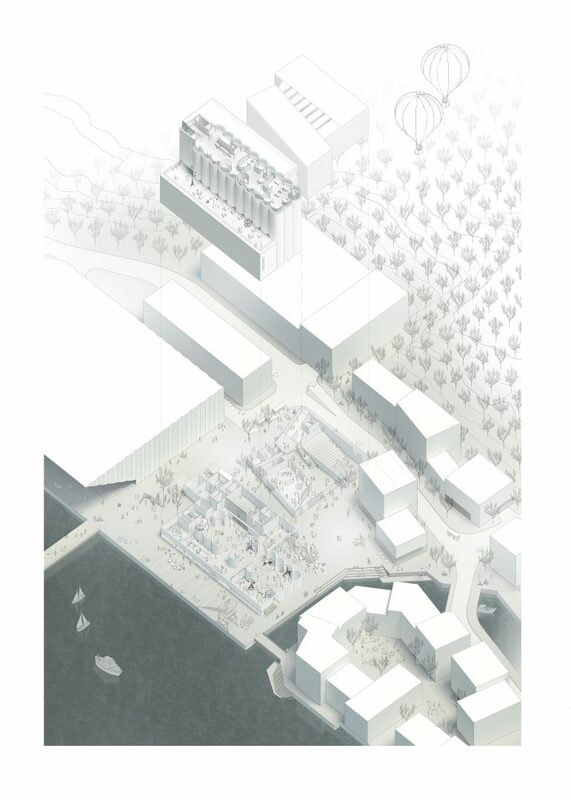 The planning strategy involves the creation of a large ground floor hall with four different heights, around which the entire project is arranged. 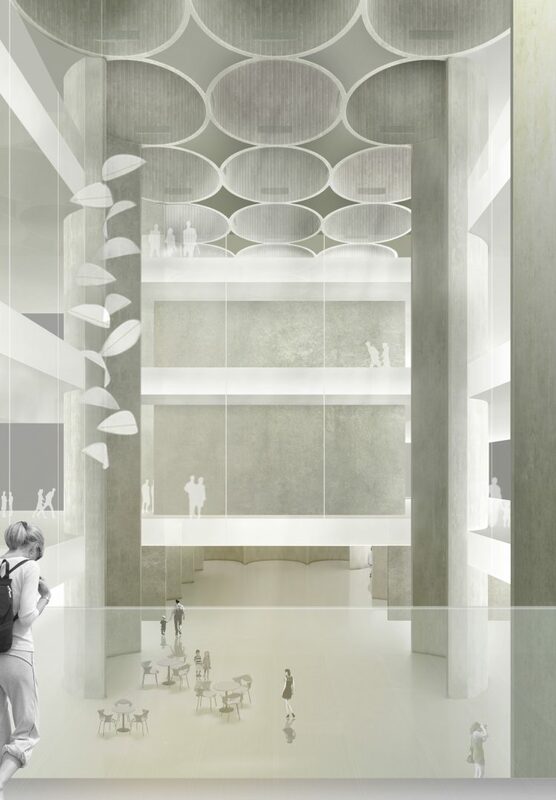 The hall will be overlooked by the the 20-metre-tall silos with their cut-out openings. Some of these will offer views of the sky, some will be fitted with opaque glass and others will preserve their existing reinforced concrete. 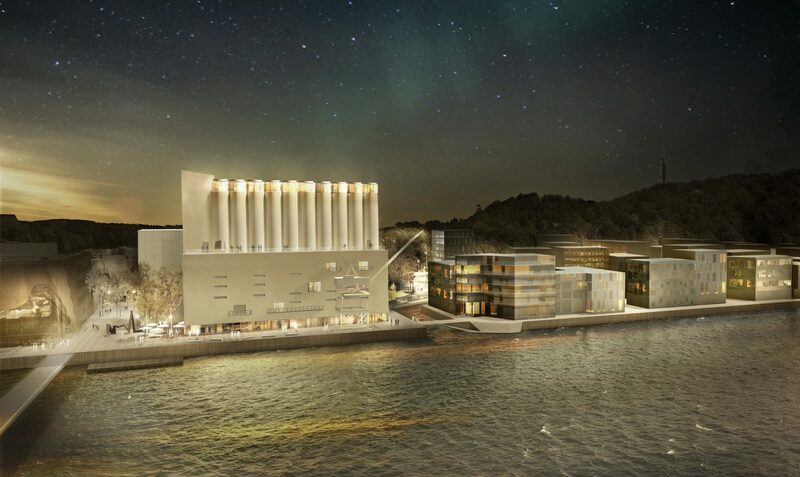 The exhibitions will be held on the three upper floors, surrounding the Silo hall, with the goal of making it easy for visitors to find their way around. The building is crowned with a transparent and flexible space designed for events which affords panoramic views of the city and in some places a visual connection with the large hall through the floor.